You might not be shocked to hear this, but losing weight can be tough. Dropping those pounds—and keeping them off—takes a mix of motivation, support, regular exercise, and a healthy diet. No matter what your motivations—getting your body into shape for the summer or losing the baby weight after a pregnancy—a weight loss meal plan can be a great way to get you there. Losing weight and living a healthy lifestyle requires some planning, but it doesn’t need to have you starving yourself or stressed out wondering how you’ll ever get to your goal weight. With diet meal plans you don’t have to go it alone—you’ll have meals sent straight to your front door ready to heat up and serve and also the advice and encouragement of trained experts who know how to get you across the finish line and keep you there. Shop around with these leading companies and find one that has the right combination for you, and you’re on you’re on your way. Eat better—and more often. Nutrisystem got to be the biggest name in the business by designing diets that have customers eating 6 small meals per day, including snacks. The meals are planned by nutrition experts and if you don’t lose weight in the first 2 weeks, just ask for your money back. The South Beach Diet is built to help you lose weight and live healthier so you can keep the weight off. The 3-phase plan starts with a “kick-start” to get you burning fat, then a phase where you work on steady weight loss, and finally a phase where you work on tools to maintain your goal weight moving forward. All this, while enjoying delicious meals, delivered to your home. Sun Basket is a meal kit delivery service with a special meal plan for losing weight. Its low calorie, Lean & Clean program offers delicious recipes and ingredients, delivered to your door every week. Choose the recipes you want to cook, and enjoy a weight loss meal plan where you're in control. BistroMD makes healthy meal planning easier. Designed by a physician to increase weight loss and help you change bad habits, Bistro MD gives you the tools to lead a healthier life. With Bistro MD, you can forget about the shopping, cooking and shipping. You can simply heat, eat and enjoy your meals while you start losing weight. Jenny Craig takes a 3-pronged approach to dieting, focusing on food, body, and mind. It’s an empowerment system that is built to your specific needs and is meant to help you develop a long-term plan for weight loss and healthy living. Jenny Craig is easy-to-follow, and you'll have the support of a personal consultant, and 100+ culinary delights to choose from. We all know that (almost) everything can be enjoyed in moderation as part of a healthy and balanced diet. But who’s to say just how many roast potatoes are too many, or how much of that delicious gravy should be on our roast chicken? Or how many times you should eat during the day. When you’re trying to lose weight, what’s on the plate matters—and that includes how much is there to begin with. Weight loss meal plans can give you a sense of how much a ‘normal’ portion is, and help you to feel full from a healthy amount of food at each meal. How about planning those meals? We’ve all been there—you’re doing so well at planning and eating healthy meals, and then you just pop down to the grocery store to get the last few ingredients, and whoops—what’s that cake doing in your shopping basket? Meal plans take all the behind the scenes work out of preparing a meal, so that you don’t have to think about meal planning, shopping or even prepping the ingredients most of the time. Without the wiggle room for slip ups, you’re much more likely to stay on track. 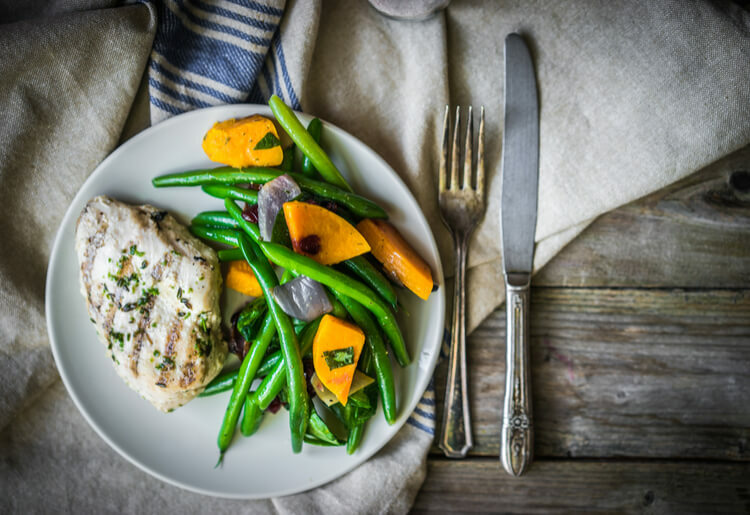 And for those times when you're struggling to stay on track, diet meal delivery plans offer more than just food, with an array of help and tools to make losing weight easier. These extras can really make the difference in helping you lose weight and keep it off. When you get a craving for some junk food or have some questions about your weight loss regimen, it’s good to know you have somewhere to turn to get some answers or a little support. Get started on your weight loss journey with one of the top diet meal delivery plans.